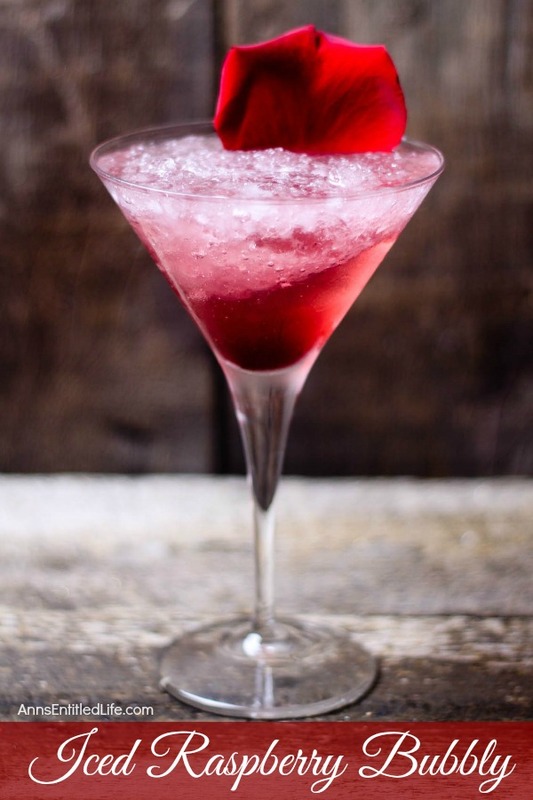 A beautiful update on a classic drink, this Iced Raspberry Bubbly Recipe combines the subtle taste of hibiscus with the bold taste of raspberry and mint for a truly delicious cocktail. • In a cocktail shaker add Raspberry Champagne. • Add Hibiscus and Mint Syrup and 2 ice cubes. • Shake well; approximately 30 seconds. • Strain into a chilled martini glass filled with crushed ice. • Garnish with a single rose petal if desired. • To view Martini Glasses, simply click here. • To view Hibiscus & Mint Syrup, simply click here. • Then add Raspberry Cocktail Syrup with a muddled mint leaves. 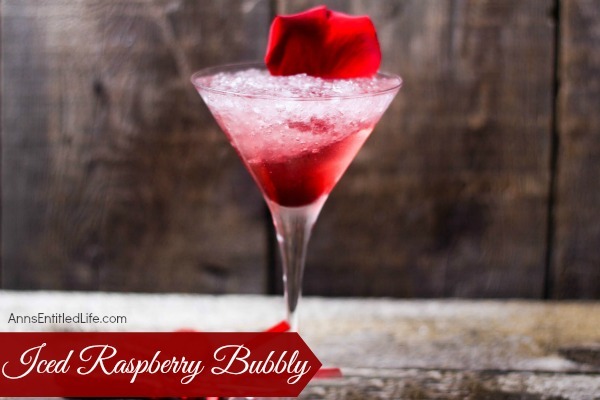 • To print the Iced Raspberry Bubbly Recipe, click here. Picture perfect! This looks like a work of art and I would love to try it. Ohhhh I like that you added some mint syrup in there. I bet that offset the sweetness a little bit. 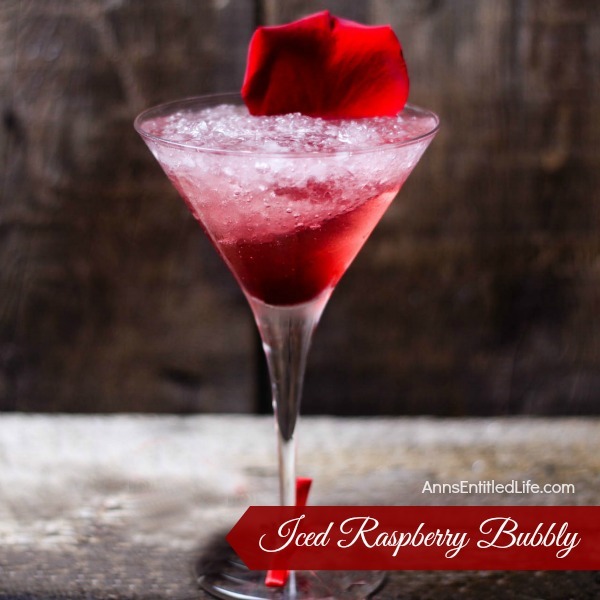 This would be a gorgeous drink to serve guests at a fancier get together! Thanks for linking up with delicious dishes recipe party!